Get a revolutionary sewer line video inspection done today to check the condition of your sewer pipes. Our Seattle sewer inspection team are equipped with sewer scope equipment to accurately view the inside of your sewer system. With a clear color camera view, you can accurately determine if you have clean sewer pipes or perhaps maintenance or repair is needed. In real time we can walk the client through every inch of the pipes and with a sewer inspection online video you are able to have the condition of the sewer line inspection on file or for a repair technician to view. Professional video sewer inspection for real estate. A compliment to any home inspection, this comes highly recommended. Do not buy a home without checking the sewer system first. We run a state of the art color camera from a clean out access point or another location in your home to the street or main sewer connection. A scope inspection is a great compliment to a home inspection. It adds significant value knowing the sewer is in good shape or not. Whether your thinking of buying a home or selling the home you have, it comes highly recommended. From Seattle sewer inspection to mount vernon to federal way, all around the sound, we arrive on time and prepared to get the job done. After a video sewer inspection is done we provide you with a written report and also a online video of the entire inspection process. 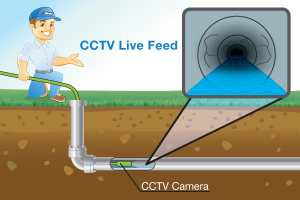 Having a video of the sewer line will aid the repair technician in determining the course of action and also serves as documentation of the sewer condition. We inspect anything we can get our cameras into, from side sewers, storm drains, and even the line to a septic tank. So don’t question your pipes any longer, get a camera in there and choose Emerald City Sewer Inspection for all your seattle area sewer inspection needs. Contact. Anthony performed a sewer scope for us. He was extremely thorough, knowledgable and helpful. I stated that I was thinking of buying a house in Seattle and he said that a sewer inspection is a very good idea. I am so glad I did, there was a large break out in the yard that needed repair. He located the break in the yard and marked the location and depth, also gave me a rough idea about cost to repair it through a company he refers. I think Emerald City Sewer Inspection, and especially Anthony, is the best. I would recommend him to all of my friends.